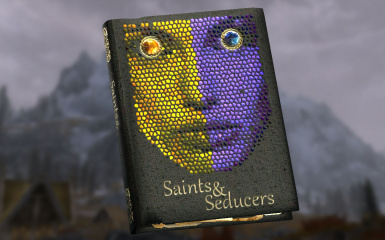 Adds 295 books from earlier TES games into Skyrim and re-covers them in the style of Book Covers Skyrim. 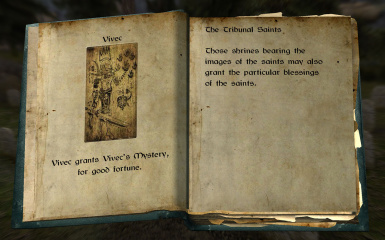 New books will be found on a broad range of Merchants and relevant Loot Lists. 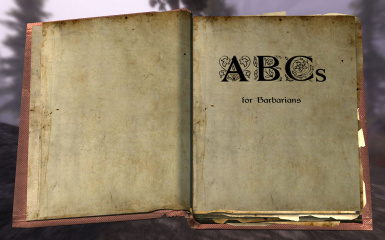 Add : The Real Barenziah, Volumes 1 to 12 (Unabridged) from Daggerfall to the Valuable Book lists. Resolved issue where BSA stored absolute paths. - BAIN/FOMOD: Use either Wrye Bash or one of NMM or ModOrganizer to install the mod. 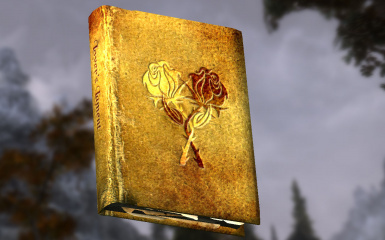 - Manual: Unpack the download with 7ZIP and move the Book Covers Skyrim - Lost Library.esp and Book Covers Skyrim - Lost Library.bsa to your Skyrim/Data directory. Activate the ESP file. - BAIN/FOMOD: Use either Wrye Bash or one of NMM or ModOrganizer to remove the mod. 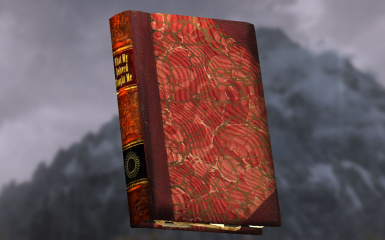 - Manual: Remove the Book Covers Skyrim - Lost Library.esp and Book Covers Skyrim - Lost Library.bsa from your Skyrim/Data directory. 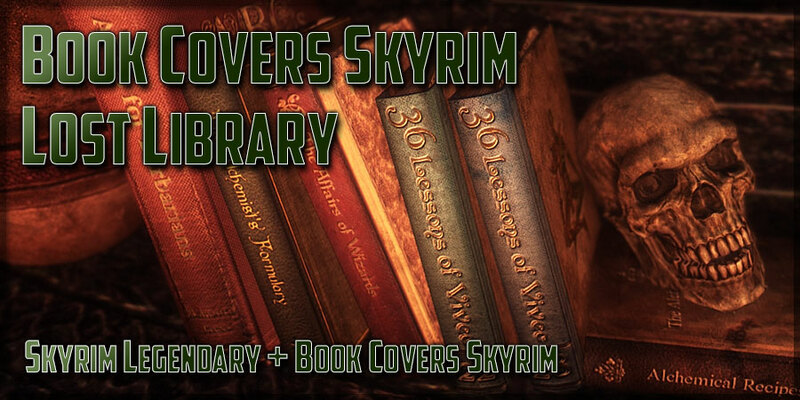 Book Covers Skyrim - Lost Library brings high quality covers in the style of Book Covers Skyrim to a very broad range of almost three hundred books from previous Elder Scrolls games and their expansions. 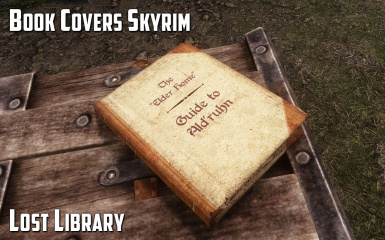 It is a logical extension to Book Covers Skyrim and is fully compatible with that mod. 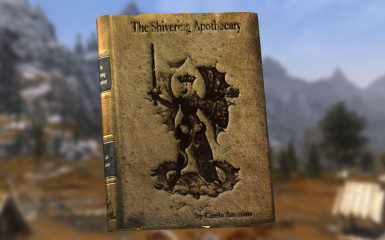 Subjects range from light-hearted comedy, traditional poetry, plays, stories and legends to heretical diatribes, dark prophecies, cult agendas and insane gibberish. The new books will be found on Merchants of many types as well as on any NPC that you would expect to have books in their inventory. 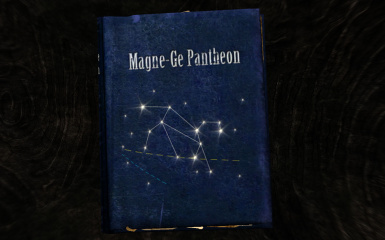 Similarly, any container that could previously provide a book will have a chance of the new titles. Many of the more esoteric books have had a single copy hand-placed in the world. 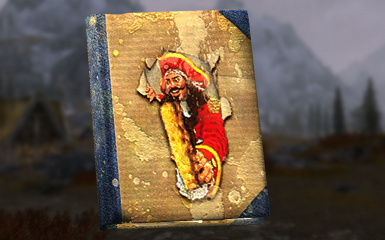 Please be aware that the Merchants are not guaranteed to have one of the new books as the lists they draw from have a chance of no item. 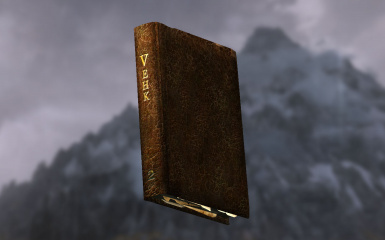 While a General Merchant is quite likely to have a Cheap or Common book or two, you would have to ask the Jarl's Wizards or the Orc Wisewomen if they are lucky enough to have any of the rare or valuable books. Members of the Thieves Guild with access to the Fences will find they tend to be well supplied. 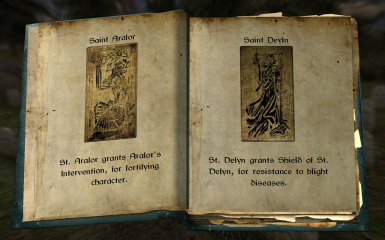 Urag in Winterhold is particularly well connected with book suppliers and Brand Shei in Riften has a specific interest that fits with his history. 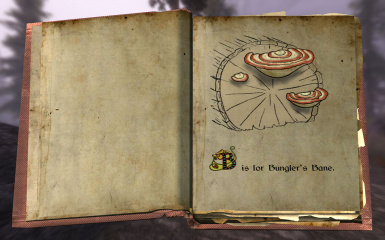 One book has been defined as a skill book for each of the game's skills and has been hand-placed in the world. Placement does tend to have a certain logic to it. While some are fairly easy to find, others are well hidden. 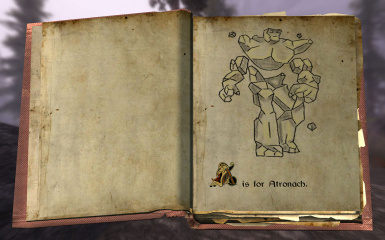 If you are used to searching for rare items in Morrowind, you will feel at home here. 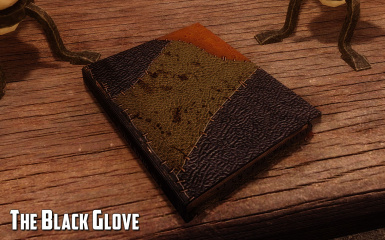 Skill books will never appear in a Merchant's inventory or on an NPC. 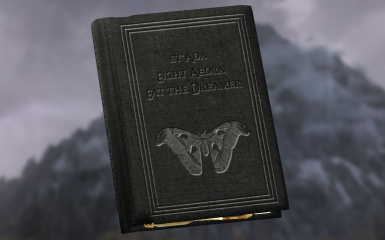 Many of the skill books will have an owner that you may have to become friends with in order to take the book without stealing. 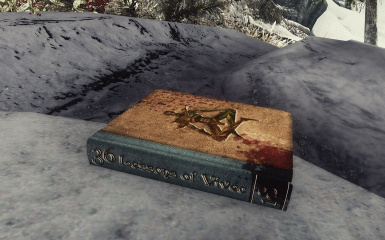 The Lost Library is fully compatible with Book Covers Skyrim and should be loaded after it. 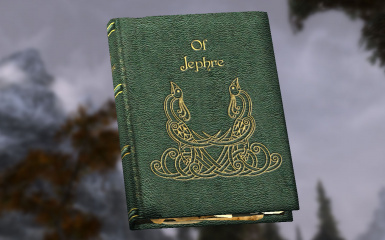 While it does not currently require Book Covers Skyrim, it will soon share some assets from that mod. 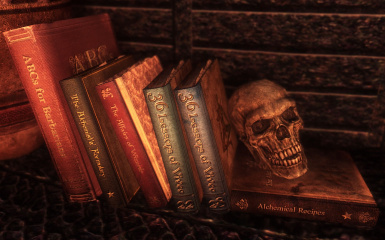 The Books of Skyrim bookshop in Solitude is ideal for rounding out your book collection if you just can't find that last elusive volume of Fool's Ebony. 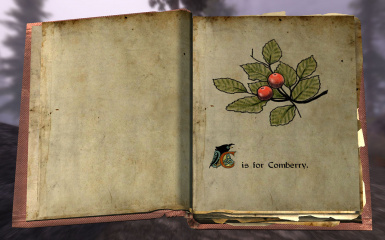 Be aware that mannyGT was fairly generous with the rare books that his mod offers. Since every new book is given correct Object Bounds, you will find Bookshelves Updated SKSE Script the perfect tool to help display your collection. If you use moreHUD you will easily be able to tell if a book in a dungeon or house is a skill book providing you enable that option in moreHUD's MCM menu. 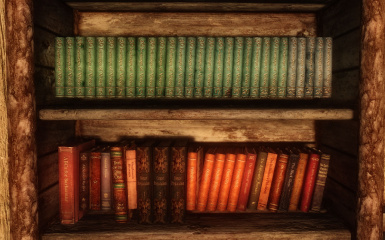 Unread Books Glow is certainly compatible but you may find moreHUD does the same job with other extra beneficial features. 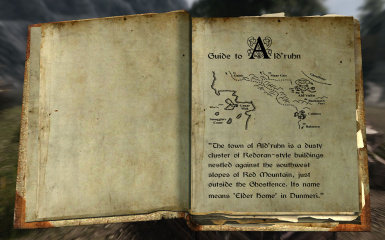 Players who use Requiem - the Roleplaying Overhaul will be delighted that it works with the Lost Library without the need for any patch. 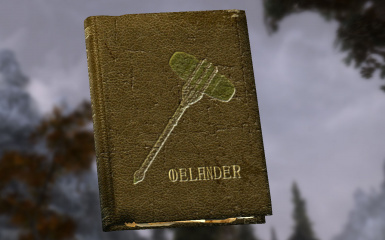 While a little old, T3nd0's Skyrim Redone only needs a very minor Compatibility Patch which I have provided to handle the altered Skill Tree names. 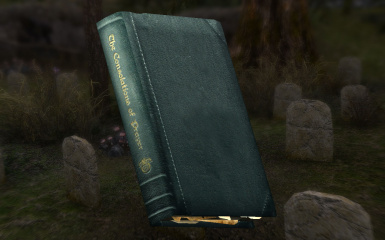 I am sorry to report that the Tamriel Compendium and Books Books Books are not compatible with this mod and are effectively made obsolete by the Lost Library. 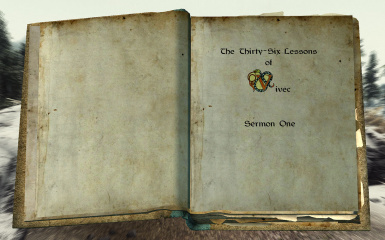 I cannot guarantee what will happen when those mods are allowed to add their vanilla covered books to your Levelled Lists. 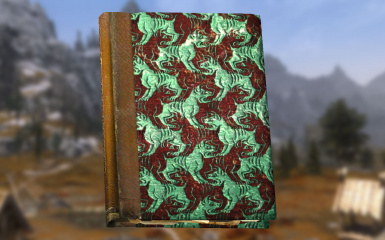 Skill Book Overhaul - More Skill Books is likely to conflict with the Lost Library in that it adds books from Morrowind and Oblivion and then makes them into Skill Books. 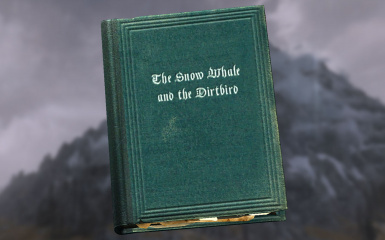 Until this file is recognised by the BOSS or LOOT teams, I suggest you either sort it manually below Book Covers Skyrim or use Boss Userlist Manager (BUM) to set up a private sorting rule of "BELOW Book Covers Skyrim.esp"
Since the Lost Library inserts books into Merchant and Item Levelled Lists, you MUST use the Wrye Bash tool to facilitate compatibility between all your mods that affect these assets. Once installed, Wrye Bash will create a file called "Bashed Patch, 0.esp" which contains the aggregated changes to Levelled Lists that all your mods require. 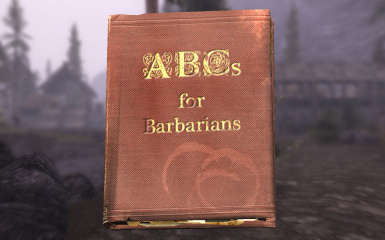 Whenever you add or remove a mod that affects Levelled Lists, you MUST use Wrye Bash's "Rebuild Patch..." function to refresh the Bashed Patch. You don't need ask me for permission to use the contents of this mod for any reason. You have it. 1) You acknowledge the work I've done, and the work of those that I have credited. Rome was not built in a day and neither are mods. We all stand on the shoulders of those who came before us. Give credit where it is due. 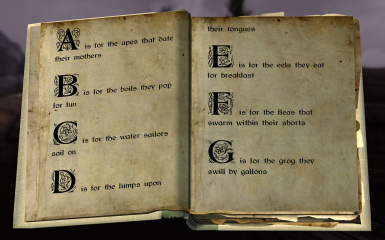 NOTE TO TRANSLATORS - please feel free to make translated versions of the books in this mod. 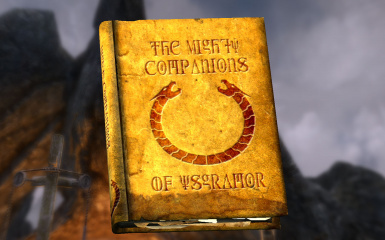 If you are able to create a COMPLETE translation in your language, I am happy to merge your work into the main Lost Library mod just like I did in Book Covers Skyrim and offer appropriate credit.